By the time Joe was 15 years old he was 6 feet 5 inches tall. His favorite sport was basketball, and he dominated the competition. Baseball was mostly an afterthought and something to do after the basketball season was over. Joe made the most of his senior year in basketball as his team ran off 18 straight wins to start the season. They lost two before winning another 10 in a row to propel themselves into the state tournament. They were upset in the first round, but 16-year-old Stanka was the top scorer in Oklahoma and was named to the All-State team. Stanka’s basketball prowess earned him a scholarship to powerful Oklahoma A&M to play for the legendary Hank Iba. The summer before he enrolled, Stanka played baseball for the Waynoka town team on Sundays. A player named Norm Parsons did most of the pitching until he signed for $300 with a Dodgers farm club. From then on Stanka did the pitching. At a state semipro tournament in Enid, a bird-dog scout saw Joe pitch and offered to sign him with the Dodgers’ organization. Stanka declined, however, because he was all set to go to college and play basketball, his first love. If you ever change your mind, the scout told him, give me a call. Stanka contacted Bert Wells, the Dodgers’ area scout, and was invited to try out with the 1950 Ponca City Dodgers of the Class-D KOM (Kansas, Oklahoma, Missouri) League. After a few days, the 18-year-old Stanka signed for a $750 bonus, $650 of which was contingent upon his staying with the club for at least 30 days. He made his professional debut about a week after signing and did not fare well, balking home a run and exhibiting a lack of command. Joe also managed to anger his manager, Boyd Bartley, by missing the team photo shoot.7 So after about a month with Ponca City, during which he compiled a 1-3 won-loss record, he was optioned to the Duncan, Oklahoma, Utts of the even lower Class-D Sooner State League. The Duncan franchise soon folded and was transferred to Shawnee. To say that Joe was raw is an understatement. He finished with a 1-8 record and an eye-popping 8.72 earned run average with Shawnee. He threw 10 wild pitches, walked 69, and was torched for 11 home runs.8 After that inauspicious beginning, Stanka was ready to walk away from baseball again, especially when he was able to get a job on the railroad as a switchman, a significant upgrade from his earlier track repair position. However, a conversation with the yardmaster made him realize that the ceiling was not very high for a railroad workman. Still only 18, Joe was not ready to settle for that and decided to give baseball another try. Stanka had pitched well against the Des Moines Bruins, a Chicago Cubs farm club, and caught the attention of Wid Matthews, the Cubs’ director of player personnel. After the season the Cubs drafted Joe from the Dodgers organization for the Los Angeles Angels, the Cubs’ top affiliate in the Pacific Coast League. Joe was not ready for the Angels and spent the bulk of the season with the Cedar Rapids Indians in the Class-B Three I League. He again showed real promise, going 12-8 with 155 strikeouts in 180 innings and a league-leading 2.35 earned run average for a fifth-place club. In 1954, Stanka was back in Class A with the Macon Peaches of the South Atlantic League and showed still more progress, winning 16 and losing just 5 with an ERA of 2.99. Stanka was now considered a bona fide prospect and was invited to pitch winter ball in Puerto Rico for the first time. His stay with the Mayaguez team in Puerto Rico, where his teammates included Tommy Lasorda and Don Zimmer, was brief. He was rusty when the winter season began and had the misfortune of pitching his first two games against the powerful Santurce Crabs featuring reigning National League MVP Willie Mays. As a result, he had a rough start. Winter league clubs, faced with a short season, did not exercise patience with slow-starting pitchers and Joe was released after a couple of weeks. In 1955, Joe reported to the Cubs’ spring training camp in Mesa, Arizona and pitched well, earning another shot with the Los Angeles Angels. Joe thought he had nailed down the fifth starter’s spot but then read in the paper that manager Bill Sweeney was going to start Bob Thorpe, up from Class C the year before, in that position. Thorpe was to start on the first Sunday in the season and Stanka was bent out of shape when he arrived at the ballpark for the Saturday game. Sweeney thereupon told Joe he was starting that day’s game since the fourth starter was ill, further making Stanka feel like a spare part. During the offseason, the Cubs traded Stanka to the Sacramento Solons of the Pacific Coast League for another pitcher, Johnny Briggs. Still a notoriously slow starter, Stanka struggled to a 5-14 record for the lowly Solons (often called the Sad Sacs) in 1956, but at least he wasn’t sent down to a lower classification. He finished 10-14 for Sacramento in both 1957 and 1958 before improving to12-12 in 1959. The Solons were in the business of selling their players to major-league teams for cash, and during his time in Sacramento, Stanka came close to being purchased by the Kansas City Athletics and the Cleveland Indians. Finally, with a month to go in the 1959 season, the Chicago White Sox, in a pennant race with the Cleveland Indians, purchased Stanka for a reported $30,000. Joe reported to the White Sox immediately, a 28-year-old rookie in his 10th year of professional baseball. When Stanka arrived in Chicago, he found a note from White Sox general manager Hank Greenberg telling him to report to Comiskey Park as soon as possible because he was the starting pitcher that night. Joe was dead tired and very nervous because he had never been in a big-league ballpark before. Manager Al Lopez had other ideas about starting Joe, and Billy Pierce took the mound instead. When Pierce got into trouble, Stanka was told to warm up and in doing so strained his groin. As Stanka tells it, he didn’t even know what a groin was before the injury. In any event, Pierce got out of trouble and Stanka was not called into the game that night. Two days later, Joe made his major-league debut and it was a most successful one. He was called into the game in the fifth inning of a game against the Detroit Tigers and gave up only one hit in 3⅓ scoreless innings. He also slapped a base hit and scored a run as the White Sox rallied to win, making Joe the winning pitcher. His next appearance, a few days later, did not go so well. Woody Held of the Cleveland Indians greeted him with a 450-foot home run into the center-field bleachers. Joe’s groin pull was bothering him and he ended up walking four batters in a two-inning stint. Afterward, Stanka went to the White Sox trainer, who told Joe he needed complete rest for at least a week to let his groin heal. Somehow Al Lopez was not informed about the injury and he and Greenberg came to believe that Stanka was a malingerer. Stanka never appeared in another game for the Sox. During the World Series against the Los Angeles Dodgers, Stanka pitched batting practice and then showered and watched the games in street clothes from the nosebleed seats, where he was one of 90,000 people attending the games in the Los Angeles Coliseum. After the Series, Stanka was pleasantly surprised when his White Sox teammates voted him a $1,000 share from the Series. 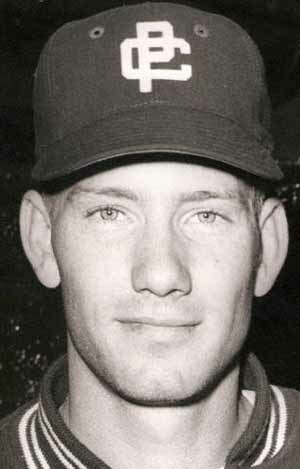 Stanka played winter ball in Caracas, Venezuela, for the third time after the 1959 season. While there he read in The Sporting News about all the pitchers the White Sox were bringing to spring training, cementing his belief that he would not really get a fair shot at making the team. After 10 years, he had not been able to stick in the majors and his prospects for doing so with the White Sox did not look very good. Further, he had learned that major-league salaries for marginal players were lower than those in the Pacific Coast League. As a result, Stanka decided to seriously consider his options. At the time, no working agreement existed between Japanese baseball and the major leagues and the White Sox, no doubt influenced by Stanka’s 17 wins, claimed he was still their property. U.S. baseball commissioner Ford Frick agreed but the Stankas had just had a baby daughter and buoyed by their fine treatment and good salary, wanted to stay in Japan. The U.S. State Department even became involved, urging a settlement of the dispute before it ripened into an international incident. Joe eventually agreed to buy his own contract back from the White Sox for $30,000, the amount the Sox claimed to have invested in him. Joe again started slowly in 1961 and was inconsistent during the first half of the season. Manager Tsuruoka lost confidence in him and Stanka did not pitch much from early July into September. Nonetheless, the Hawks were rolling along with a 10-game lead over the Toei Flyers when they lost their ace Sugiura to a sore arm. They soon hit a losing streak while the Flyers got hot and won nearly every game. With five games left in the season, the two clubs were not only deadlocked but were to finish the season against each other. Joe followed that performance with a win in Tokyo two games later to clinch the pennant and secure his bonus. He then pitched the opening game of the Japan Series against the Central League champion Yomiuri Giants, throwing another shutout to win 6-0. The Giants won the second game, 6-4, and Stanka started Game Three in Tokyo. He led 4-3 heading into the bottom of the ninth. With two outs and a runner on base, the batter hit a simple popup to the first baseman, Terada. As he reached to catch the ball, he began to extend his right hand to Joe to congratulate him on the victory and, in doing so, took his eye off the ball and dropped it. It was one of the biggest gaffes in Japanese baseball history. The next batter was the legendary Shigeo Nagashima, one of the two most popular players in Japan (along with home run king Sadaharu Oh). Nagashima topped an easy groundball to third but the third baseman booted it to load the bases. Stanka then got two strikes on the next batter, Andy Miyamoto,19 and then threw what some have said is the most famous pitch in Japanese baseball history. Stanka threw a forkball that split the heart of the plate; but umpire Enjyoji called it a ball. Stanka stormed to the plate and, with his hands behind him, bumped the umpire with his chest as he railed at him for the horrendous call. Stanka was suddenly the ace of the Hawks’ staff and won the fifth game of the series, 6-3, before losing the sixth and last game in relief in 10 innings, 3-2. The Hawks lost the series, four games to two. Afterward, Manager Tsuruoka had to appear before the Japanese baseball commissioner and apologize for his team’s accosting of Enjyoji. After the season, Joe and his family, which now included three children, returned to his hometown of Waynoka for the winter. He appeared on the television show To Tell the Truth in New York City and won $1,000 when none of the panel guessed the real Joe Stanka. The family returned to Kobe for the 1962 Japanese baseball season but Joe was plagued by a sore arm and won 8 games while losing 10 as the Hawks finished second to the Flyers. In 1963, Stanka’s fourth year in Japan, he improved to 14-7 with a sharp 2.66 ERA in 186 innings. The Hawks lost a tight pennant race, finishing only a scant game behind the Nishitetsu Lions. That set the stage for 1964, when Stanka, now armed with a sinking off-speed forkball to complement his fastball, became the dominant pitcher the Japanese had long expected. He finished the season with 26 wins against 7 defeats in 278 innings as the Hawks swept to the Pacific League pennant by 3½ games over the Hankyu Braves. Stanka was particularly tough during the last month of the season when his team was slumping and trying to hang on to its lead. The Hawks won only five of their final 14 games, and Joe won all five. Not surprisingly perhaps, Stanka was in the middle of a couple of melees in 1964. What was surprising was that one involved another American, Chuck Essegian of the Kintetsu Buffaloes, also based in Osaka. (Oddly enough, Essegian had starred for the Dodgers, hitting two pinch-hit home runs against Stanka’s club, the White Sox, in the 1959 World Series.) Stanka thought the umpire was squeezing him, refusing to give him any calls on the corners, and began shouting at the arbiter with Essegian at bat. Essegian thought that Joe was yelling at him and the two eventually tangled in the middle of the infield before teammates pulled them apart. The Hawks faced the Central League champion Hanshin Tigers in the 1964 Japan Series. Both teams were based in Osaka and both had been propelled to their pennants by a star “gaijin” (foreign) pitcher. Gene Bacque, from Lafayette, Louisiana, had won a remarkable 29 games for Hanshin. He had pitched an astounding 353 innings (in a 130-game season) and finished with a sparkling 1.89 era.23 The Tigers, however, started 22-game winner Minoru Murayama in the first game, avoiding a pitching match-up of American stars. Stanka pitched brilliantly, shutting out Hanshin, 2-0. Stanka finally faced fellow American Bacque in Game Six as the Tigers attempted to win their first Japan Series title. But Stanka had his full four days’ rest and continued his exceptional pitching, defeating the Tigers, 4-0, for his second shutout of the Series. The climactic Game Seven was scheduled for the next day, and the unthinkable happened. Manager Tsuruoka asked Joe to start, apparently prompted by Stanka’s teammates and coaches, who thought the Hawks’ best chance for victory rested with him. There was some logic behind the request since of the last 30 games, including six in the Japan Series, the Hawks had only 13 wins and nine were by Stanka. In their last 15 games, Joe had rung up seven of the Hawks’ eight wins. Three against the Giants’ legendary left-hander Masaichi Kaneda26 but his Japan Series magic was gone and he lost, 9-3. Joe, his wife, Jean, and their four children (son Jay was born in June, 1965) stayed in Osaka after the 1965 season, as they had in alternate years. Then, shortly before Thanksgiving, tragedy struck. The Stankas’ oldest child, Joey was asphyxiated by a faulty gas heater in the bathroom while taking a shower.27 He was only 15 years old. The Whales wanted to sign Stanka for the 1967 season, but at 35, Joe was ready to retire from baseball and move back to the U.S. His Whales and former Hawks teammates presented Joe with a traditional Japanese warrior’s helmet at the Tokyo airport on their return to the States. The Stankas settled in Waynoka, Oklahoma, far from the bright lights of Tokyo, where Joe purchased a variety store. In 1967 he sold the store and moved to Oklahoma City to sell insurance. He quickly found it not his cup of tea, so he purchased a franchise of an employment agency and moved the family to Houston, where he has lived ever since. In 1970 Joe sold the agency and began selling home study courses in art, writing, and photography. Later, Stanka sold real estate and in 1988 he and son Jim began a very successful duty recovery consulting firm. He retired from that business in 1996 at the age of 65 to travel with Jean. After their baseball days, the Stankas returned to Japan on a number of occasions, including attending a 20-year reunion of the championship Hawks in 1984. During the 1990s, Joe traveled to Japan several times for gatherings of the Meikyukai29 when that group invited a number of former Americans who had been Japanese All-Stars during their playing careers. When the Stankas were asked to reflect about their time in Japan, they pointed to three events: the birth of their two youngest children, Janet in 1961 and Jay in 1965, and the terrible pain of losing their old oldest son Joey. The Joe Stanka story ultimately is one of perseverance, persistence, and taking the road less traveled. One of the least known members of the 1959 Chicago White Sox became a baseball icon in Japan. Forty-some years later, Joe Stanka’s fame in Japan still far exceeded that of any member of the ’59 Sox in the US. 1 The Japanese major-league season is 130 games, compared with the 162-game season in the U.S. major leagues. 2 Correspondence with Joe Stanka, on file with author. 6 Rob Trucks, Cup of Coffee -- the Very Short Careers of Eighteen Major League Pitchers (Astoria, New York: Smallmouth Press, 2002), 54. 8 Donald S. Connery, “A Yank in Japan,” Sports Illustrated, June 25, 1962. 11 Jean and Joe Stanka, Coping With Clouters, Culture and Crisis (Wilmington, Delaware: Dawn Press, 1987), 52-53. 12 Stanka and Stanka, 63-65. 13 Connery, 65. The Hawks had won the Japan Series in 1959 behind their great submarine pitcher Tadashi Sugiura, who had won an astounding 38 games while losing only 4. He then won four more games in the Japan Series. The Hawks hoped to obtain a dependable starter from America to take some of the pressure off Sugiura in 1960, assuming that as good as he was, he could not repeat that performance in 1960. Stanka and Stanka, 70. 14 Ryan Chamberlain, “Joe Stanka, First American All-Star in Japanese Baseball,” SABR Bulletin, July-August 2005. 15 The manager thereafter always went to the mound to remove Stanka from the game and gradually began to do so with all his pitchers. Stanka and Stanka, 82. 17 Daniel E. Johnson, Japanese Baseball -- A Statistical Handbook (Jefferson, North Carolina and London: McFarland & Co., 1999) 102, 106. 18 San Francisco Chronicle article dated November 3, 1961, in National Baseball Library on Stanka. It is unclear whether Stanka’s moniker was more related to his temper or his mound prowess. 19 Miyamoto was a Nisei (second-generation Japanese) from Hawaii who played in Japan for 10 years. 20 Joe Stanka, told to Al Hirshberg, “I’m Big in Tokyo,” Baseball Digest, August 1962. 22 June 20, 1964, unidentified clipping from the National Baseball Library file on Stanka. 25 Stanka and Stanka, 134-38. 26 Kaneda holds most of the career records for a Japanese pitcher, including wins with 400. He pitched from 1950 through 1969. Thus, he averaged 20 wins a season for 20 years, all the more remarkable when one considers that the Japanese season is only 130 games long. 27 Stanka and Stanka, 159-66; April 9, 1966 unidentified clipping from the National Baseball Library file on Stanka. 29 Meikyukai stands for “Association of Great Players” or “Golden Players Club” and represents one of two Japanese Baseball Halls of Fame. Players are automatically inducted if they reach 2,000 career hits or 200 wins in Japanese baseball or the same number when Japanese baseball and major-league baseball statistics are combined. No foreign player has been inducted, however. See www.meikyukai.co.jp. 30 Jason Coskrey, “Nankai Hawks ace Joe Stanka, hero of 1964 Japan Series, dies at 87,” Japan Times, October 19, 2018.